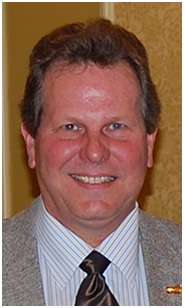 Dudley is the Director of Education and Development with VersaFlex Incorporated in Kansas City, Kansas. He has a B.S. and M.S. Degrees in Chemistry from Lamar University in Beaumont, Texas, and was employed by Texaco Chemical Company, Huntsman Corporation, a prior Partner in EnviroChem Technologies, LLC, formerly the CSO of Inspar Robotic Technologies, Inc. and owner of Primeaux Associates LLC. Dudley is active in NACE, SSPC: The Society for Protective Coatings and has also completed the SSPC-PCS, Protective Coatings Specialist and CCI Concrete Coatings Inspector certifications. Dudley also serves at Chairman of the SSPC C.1.9 Polyurea Committee. He is a recent recipient of the JPCL’s Top Thinkers: The Clive Hare Honors, the 2012 Wayne Kraus Technical Award, Philadelphia Society for Coating Technology (PSCT) and the 2013 SSPC Coating Education Award. He is named inventor of 29 US Patents and 8 European Patents on polyurethane and polyurea foam applications as well as polyurea spray elastomer systems/applications and robotic pipelining technologies. He is an accomplished author having over 50 technical publications relating to the polyurea elastomeric coating and lining technology, performance testing and inspection, as well as several chapters in SSPC delivered book publications.